It’s Spring! And it feels like it too! A beautiful sunny morning….throw open the windows and air out the house kind of day. I cleaned up my garden beds last week and was ready for more cleaning up today. 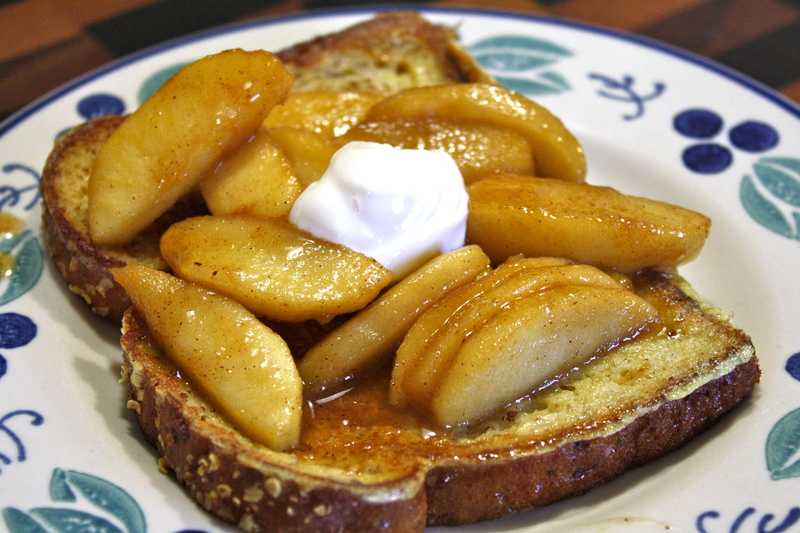 My oldest son was headed back to college this morning so I made a nice apple saute to serve over some quickly made french toast. My french toast is just fresh whole grain bread dipped in an egg/milk/spice batter and cooked on the stove. Pretty good eats in a pinch. Ready in less than 15 minutes….about how long the apple saute took….imagine that! 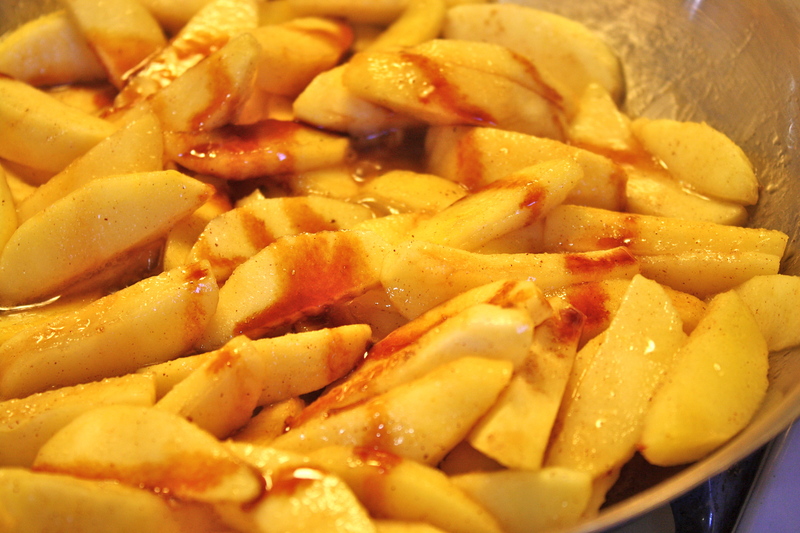 In a stainless skillet, melt your butter over medium heat and immediately add your apples. Stir to coat with the butter. Sprinkle with some raw sugar and just a pinch of salt. 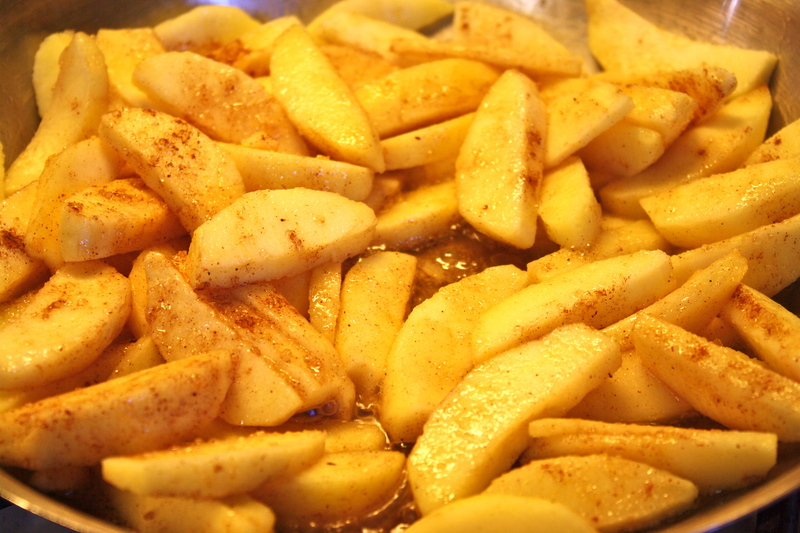 Allow to cook until the apples begin to soften (about 5 minutes). Add cinnamon and nutmeg to your liking, stir. Add vanilla extract and a drizzle of molasses. Stir and reduce heat slightly. Allow to cook another 5-10 until apples are tender. I prepared some very simple French toast (not soaking time-no stale bread used). Just mixed my eggs and milk, add spices and dipped fresh whole grain bread on both side and cooked in a skillet with a bit of butter. Serve apples over toast. Add a bit of vanilla yogurt if you like. Enjoy! Thanks! My garden is looking wonderful!